If the British public were to compile a list of influential managers hailing from the homeland over the years, the results would be pretty easy to imagine: Stein, Shankly, Ferguson, Paisley, Allardyce – all the big names. One person whose name would be unlikely to figure, but who in Spain would be right up there with the aforementioned greats, is the man some would cite as responsible for the famous tiki taka style. 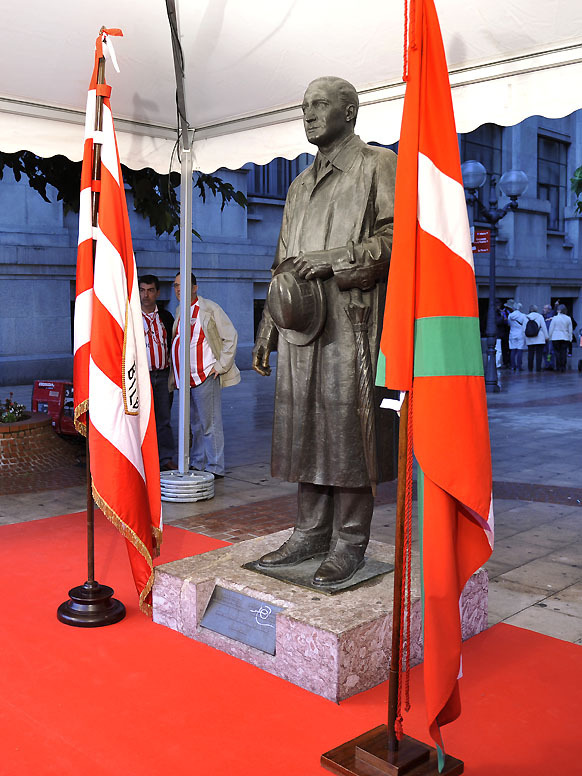 Referred to affectionately in Bilbao as El Bombin (The Bowler Hat), Fred Pentland’s name and sobriquet can still be heard as fans walk past his statue and into the San Mamés. The image etched in Basque history is of an eccentric Englishman, prowling the touchline furiously complete with famed bowler hat – which the players would famously take off his head and stamp on following a win, a tradition that continues in Bilbao’s bars to this day – and oversized cigar. El Bombín had to search for his spiritual home before landing in the northwest of Spain, though. A nomadic but impressive playing career saw Pentland play for eight sides ranging from Blackburn Rovers to QPR, predominantly at outside right, netting 45 goals in 200 appearances. He was also capped five times by England, two of those coming in the victorious 1908/09 British Home Championship. Reportedly a very popular player, the Lancashire Evening Post reported a whimsical departure from Rovers, with Pentland serenaded by a group of friends, colleagues and the Palace Theatre band as he left, who sang into the Northern air as his train departed the station. In 1912, there were early signs of promising coaching ability in an impressive stint with Halifax Town, where he led them to the FA Cup first round before retiring in 1914 and heading to Germany in order to coach their Olympic team. Pentland never got to the Olympics with that side, though. As it would transpire, his journey to the Germany had been extremely poorly timed; just a few months after his arrival in Berlin, WWI broke out and the presumably stunned coach was sent to live with fellow British ex-pats in Ruhleben, a makeshift internment camp on the outskirts of the German capital. Ruhleben contained a wide range of British civilians who had the misfortune of being in Germany during the outbreak of war. From sailors to sportsmen, scholars to bookmakers; a strange miniature society was born where the shared plight created unity and tolerance, where the Earl of Perth was happy to walk along the lawns with a famous black horse-racing tipster named Prince Honolulu, and where the depressing ennui of camp life made football an essential and neurotic distraction. Pentland was joined at the camp, quite incredibly, by another three former England internationals: Steve Bloomer, Fred Spiksley and Samuel Wolstenholme had all been on the continent spreading their gospel, as well as several other professionals. At the time it was common for Britain’s most forward-thinking footballing brains to move abroad in search of progressive minds open to their sermons, and as a result Pentland found himself not just in the company of fellow professional footballers, but fellow professional footballers prepared to debate and theorize; in short, colleagues who would have a profound effect on his developing ideas. After the war, the man in the bowler hat realized his ambition of going to the Olympics, taking France to a respectable semi-final finish before heading to the Iberian Peninsula, a job offer from Racing Santander on the table that would precipitate the development of an iconic style of play. Bilbao’s recruitment of a foreign manager might seem bizarre on paper when considering the side’s deeply regionalist attitude, but the club was founded by a group of Spaniards who had been studying in England and in their formative years had many English players, although it’s a fact best not mentioned in front of any Basque friends. The new coach arrived with a plethora of fresh ideas, from the basic – such as the comically rudimentary first step of teaching his players how to properly tie their shoelaces – to the revolutionary idea that they should break the hegemony of long ball football and focus on short, intricate passing that has come to be his lasting legacy upon Spanish football. If the concept of an Englishman teaching his Iberian counterparts how to play silky, ‘continental’ football seems odd, it’s worth remembering the very reason he was in Spain; like Jimmy Hogan in Eastern Europe, Pentland probably felt his methods would be disregarded back on the mulish shores of Blighty. Perhaps he felt a nation obsessed with bullfighting might be more disposed to teachings of art and beauty within sport over a fixation with winning. Whatever the case: it worked. 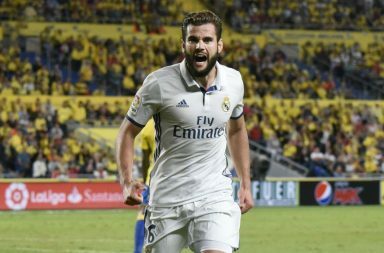 His Bilbao side, particularly when returning from spells with Oviedo and Atletico Madrid, dominated Spain with their short passing game. 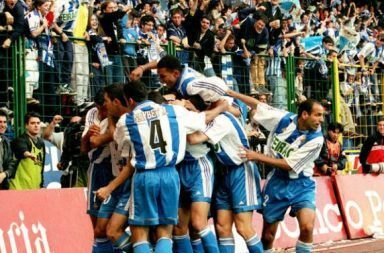 It wasn’t long before Bilbao’s success – emphasized in particular by their four straight Copa del Rey triumphs and a 12-1 win over Barcelona that remains the most embarrassing record in the Azulgrana history books – influenced other sides, and soon giants Real Madrid and Barcelona were copying their innovative style. Pentland finally left the country in 1935, fleeing a civil war that ripped the country apart. Returning to England, a short spell with Barrow prompted a realization that he wasn’t ideologically compatible with his home nation. 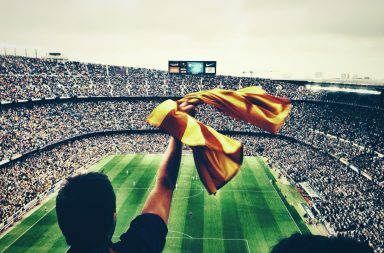 The mark left on Spanish football is undoubted, though, leaving Spain with five Copa del Rey trophies, two league titles and six Campeonatos de Vizcaya, and impacting upon the game irreversibly. To this day, his influence can be heard in press conferences; the term “el mister” universally used to reference a manager by players, was first coined by those under his tutelage. Britain has given Spain many great managers over the years, from Sir Bobby Robson to Howard Kendall, but none can be said to have affected the Spanish game – perhaps the game in general – as profoundly as El Bombín. Englishman in Madrid trying to stay faithful to my childhood love, Liverpool FC, in amongst all the Spanish sexiness. Follower of all Madrid clubs, from Rayo to Real. 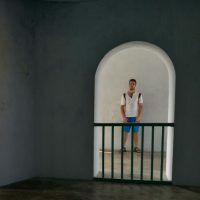 Also passionate about Rugby League and Horse Racing; husband to an oft-suffering Venezuelan. Badge of the Week: Alloa Athletic F.C. Can La Furia Roja make it three in a row at France in 2016?